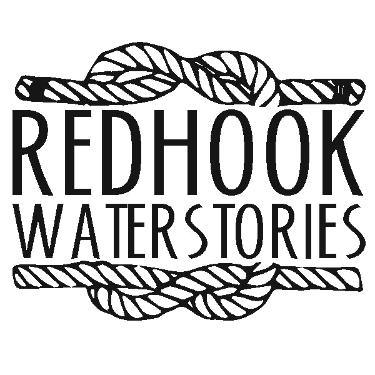 The large expance of Brooklyn Red Hook property of John Dikeman and others was mapped in preparation of it sale on Monday, August 29, 1836. 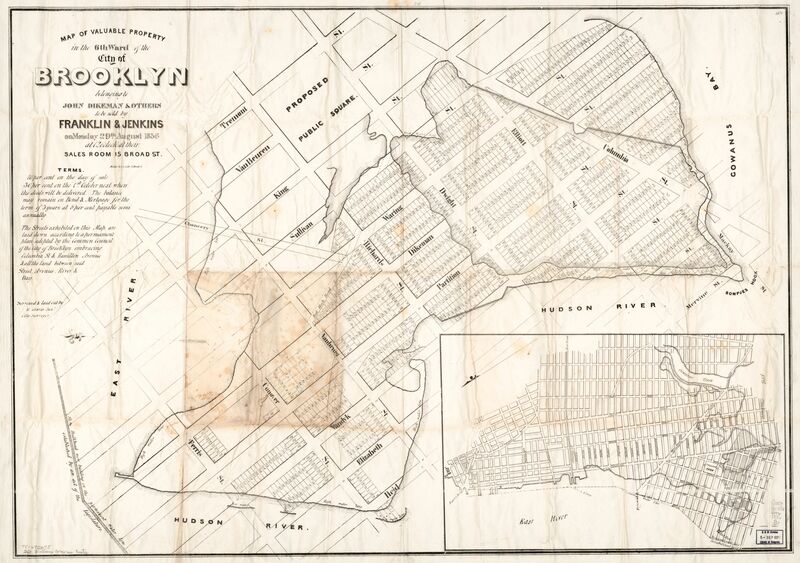 The map shows the waterline of Red Hook of the time and the projected land, roads and park noting that: The streets exhibited on this Map are laid down according to a permanent plan adopted by the Common Council of Brooklyn embracing Columbia St & Hamilton Avenue & all the land between said Street, Avenue, River & Bay. Map of valuable property in the 6th ward of the city of Brooklyn belonging to John Dikeman & others to be sold by Franklin & Jenkins on Monday, 29th August, 1836 at 12 o'colck at their sales room, 15 Broad St.
Brooklyn. City Surveyor, Graves, R., Franklin & Jenkins & Miller & Co. (1836) Map of valuable property in the 6th ward of the city of Brooklyn belonging to John Dikeman & others to be sold by Franklin & Jenkins on Monday, 29th August,at 12 o'colck at their sales room, 15 Broad St. [Brooklyn Franklin & Jenkins ?] [Map] Retrieved from the Library of Congress, https://www.loc.gov/item/78692675/.